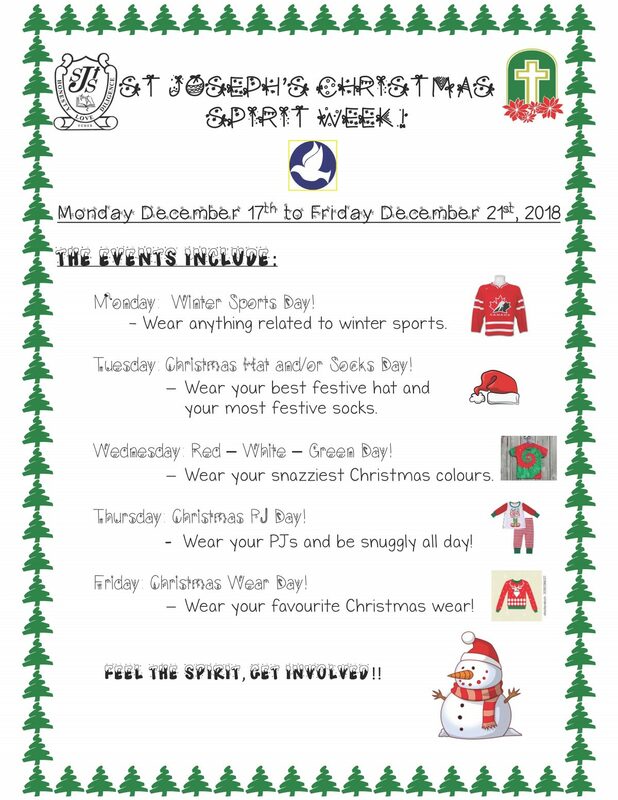 Home > Our School > News > General > Christmas Spirit Week!! Wednesday, December 19 is Red, White & Green Clothes Day. As well, there will be a Virtue Assembly at 9:15 am to recognize all the students who exemplified Hope. Mrs. Torelli’s grade 7 class will be presenting. Friday, December 21 is Christmas Sweater Day & The Annual Jingle Jam begins at 9:30 am!